Are We Headed For An ‘Iranian Spring’? European foreign ministers on Monday added nine officials of the Iranian regime who were said to be “responsible for serious human rights violations” to the list of those subject to a travel ban and an asset freeze. A noble act on its own merit but a much bigger question lingers. What step, if any, by the west could spark the ‘Iranian Spring’? Whatever the answer might be, one thing is for sure, when that day comes women will play a prominent role. In fact, Iranians have been yearning for change for years. And women in the country have been fighting for their rights for many years. If the mullahs had the chance, they would have imposed more restrictions on them than those we have witnessed in Afghanistan with the Taliban. There are many young girls who have turned to prostitution to earn a living. Many young women in Iran commit suicide because they are repressed and humiliated. In prisons and detention centers women suffer frequent abuse, torture and execution. Young girls face further dangers when in prison. And there are no separate provisions for juveniles in many prisons. In confronting misogynist clerics, the prominent and indispensable role that women have played is most evident in the organized resistance. 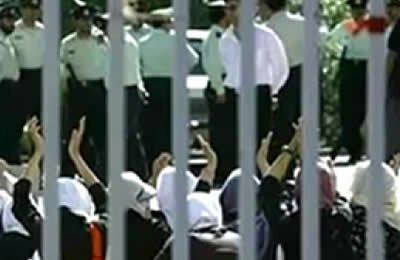 To the mullahs’ great dismay, women comprise 52 percent of the National Council of Resistance of Iran – the parliament in exile of the resistance. The president-elect of the Iranian resistance is the charismatic Maryam Rajavi, who has outlined a progressive 10-point plan for the future of Iran based on gender equality. Out of the 3,000 members of the People’s Mojahedin Organisation of Iran, the principal Iranian resistance movement and the pivotal force in the National Council of Resistance of Iran who are in Camp Liberty in Iraq, about 1,000 are women. Many of them holding key positions. Hundreds of the women in the resistance have spent years in the dungeons of the regime and as such are invaluable treasures in the vanguard women’s movement on the subject of equality. Actually the mullahs are encircled with cumbersome crises both within and outside their regime, politically, economically and regionally – and sense the precarious prospect of being overthrown by the people. A totally disenchanted population, an almost broken economy faced with a run-away inflation and sky rocketing unemployment, growing regional isolation and exacerbating factional feuding all indicate a precarious prospect for the Ayatollah in the near future. The ruling clerics have directed the bulk of their attacks and plots against the PMOI that has the capability to steer social discontent towards overthrowing the regime. On February 9, seven defenseless refugees at Camp Liberty were killed and 100 injured in rocket attack by the Iranian regime and with the cooperation of the government of Iraq. Now, there is imminent danger of a new attack on Camp Liberty. This is at a time when the issue of safety and security of Liberty residents has received no attention and no action has been taken in this respect. On March 9, parliamentary delegations and personalities from various countries from all over Europe, the US, Canada, and Islamic nations converged in Paris on the occasion of the International Women’s Day – in order to warn the international community about the safety and security of Camp Liberty residents, particularly the women. The residents of Camp Liberty should all be returned to the relative safety of Camp Ashraf, their home for 25 years, expeditiously as the only practical way to guarantee their safety and security. As the clock is ticking towards a showdown in Iran and as Iranians are crying for freedom, female voices will become louder. We have to support them and echo their calls for the establishment of a free and democratic Iran. The first step is to guarantee that the women of resistance are protected. It can be done but make it soon, please.